Vistas are breathtaking on the Schoodic Peninsula whether the coast is shrouded in fog, pounded by rain, or glittering with sunlight. Granite boulders sheared from ledge; beaches of rocks rounded by waves – this is where the Bold Coast’s rugged magnificence truly begins. A classic Downeast fishing village, several small and distinct villages make up the town – Corea Village, Birch Harbor, and Prospect Harbor. 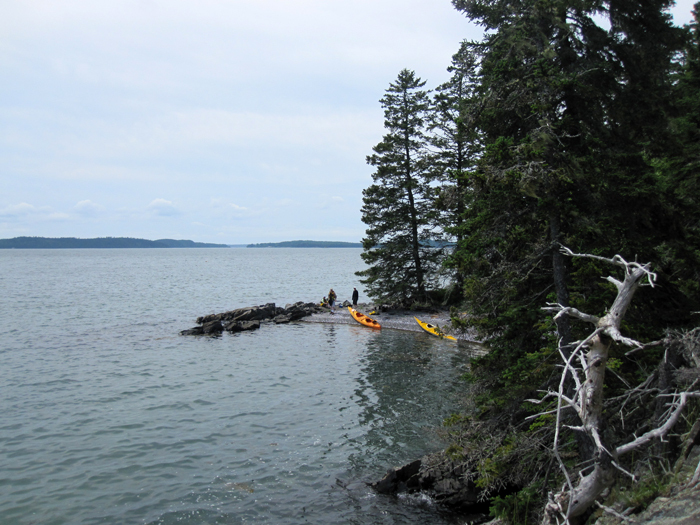 Canoe with the kids on Jones Pond in West Gouldsboro, or launch your sea kayak and explore Stave Island Preserve. Hike through Taft Point, Frances Wood Preserve or Corea Heath. Lobster and local art awaits you on the wharf in Corea. 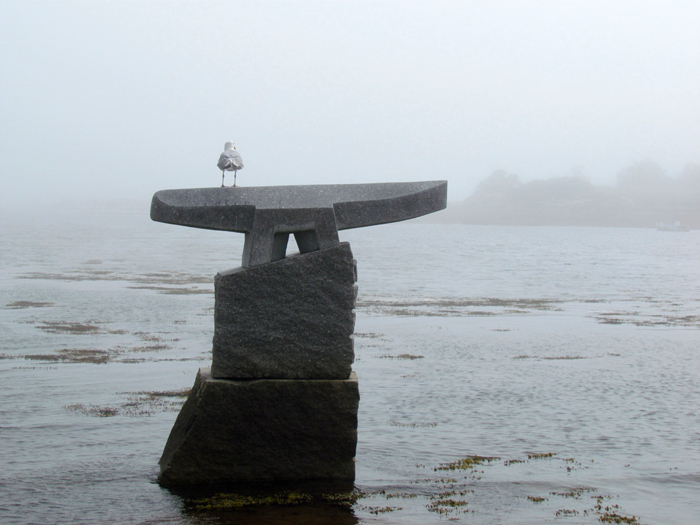 Prospect Harbor, at the eastern end of the Schoodic National Scenic Byway, was home to the fifth Schoodic International Sculpture Symposium. Birch Harbor provides evening entertainment with food, beer, and live local music. Home to the elegant summer colony of Grindstone Neck, Winter Harbor is also a year-round lobster fishing community. Join the community in August to celebrate the harvest at the Winter Harbor Lobster Festival. Schoodic Arts for All hosts art exhibits, concerts and performances year round. Stroll the downtown to shop galleries, studios and shops for local and Maine-made items, enjoy ice cream, and dine on locally harvested seafood. The Bold Coast section of the Maine Sculpture Trail begins at Henry Cove. Other Bold Coast communities hosting sculptures include Steuben, Milbridge, Harrington, Addison, Jonesport, Roque Bluffs, Machias, Lubec, Eastport, and Calais (where it connects across the International border in Calais to the New Brunswick sculpture trail). 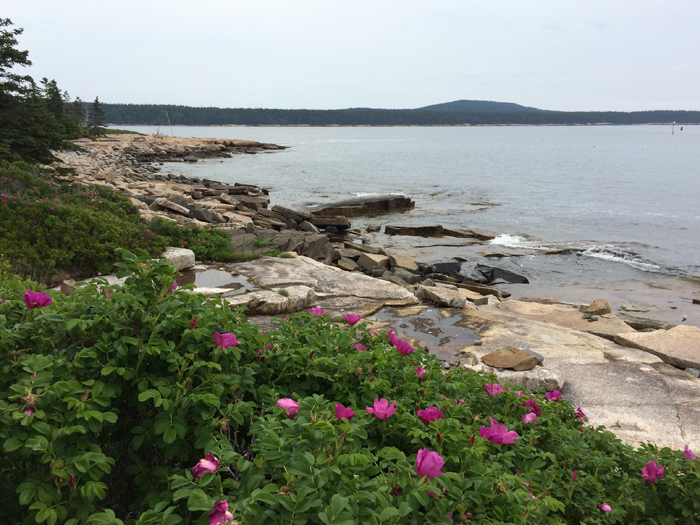 The entrance to the Schoodic section of Acadia National Park is 1.4 miles from town. Bicycles and kayaks can be rented near the entrance. Schoodic Institute, located within the National Park, offers year-round outdoor education and recreation opportunities for all ages and interests. For more information on the Schoodic Peninsula, contact the Schoodic Area Chamber at (207) 546-2960 or schoodic.chamber.commerce@gmail.com.